Nick Heidfeld first gained widespread attention in 1994 when he won the German Formula Ford Championship with 8 wins from 9 races. The young German was 2nd in the semi-finals of the Formula Ford Festival at Brands Hatch but was forced to drop out following an accident. In 1995 he won the German International Formula Ford 1800 Championship and second place in the Zetec Cup. In 1996 Nick contested the German International F3 Championship, finishing third, despite taking three wins. Late in the year he finished sixth at Macau. A year later and Nick won the German F3 Championship in addition to winning the prestigious Monaco F3 event. He then stepped up to European F3000 finishing runner-up in 1998 with three wins, he was also appointed official test driver at McLaren-Mercedes. In 1999 having won the International Formula 3000 Championship, Nick was snapped up by Prost for the 2000 season. Driving alongside Jean Alesi, Nick struggled to get to grips with a difficult car, and after a string of retirements it was no surprise when the German left Prost at the end of his debut season, moving to Sauber for 2001. 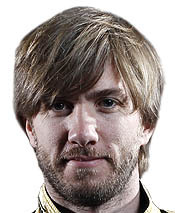 Heidfeld's fortunes improved dramatically with the Swiss team. Given a competitive car he demonstrated the skills that many within the F1 paddock had been raving about, and along with rookie team mate Kimi Raikkonen, Nick helped Sauber to its most successful season to date, scoring twelve points along the way. Although frustrated by Raikkonen's departure to McLaren, feeling that the team should have called on him to replace Hakkinen, Nick decided to show the Woking team what they were missing out on. The German gave a number of gritty performances, particularly in Spain where he finished a magnificent fourth. Sadly, as has often been the case with Sauber, they didn't keep developing the C21 hence the team was unable to build on the success of 2001. In Austria Nick was lucky to survive a horrific clash with Takuma Sato, while the German also played a part in the first-corner incident in Melbourne. Alongside Heinz-Harald Frentzen for 2003, Nick failed to convince. The former F3000 Champion out-qualified his older team-mate 9-7, but on the whole it was Frentzen who dominated, and indeed claimed the team's first podium (Indianapolis) since Brazil 2001. Frentzen's reward was to be dumped, along with Nick, for 2004, the decision being made public just hours after the Indianapolis triumph. For a while it appeared that Nick's F1 career could be over, at least for 2004, and then, following a couple of successful tests, it was announced that the young German had secured a seat with Jordan, where he would be joined by Italian hot-shot, and another proven F3000 winner, Giorgio Pantano. Nick was one of the true stars of 2004, not that many of us got to see it. Away from the TV cameras, the German was giving some great performances, wringing everything out of the EJ14 and the Ford Cosworth. Three points - two in Monaco, one in Canada - don't tell anything like the full story. Despite the limitations, Nick gave his all, giving performances that flattered the package given to him. A few years back it seemed that Nick had the world at his feet, and looked certain to take his place at McLaren-Mercedes. That it never happened, is hard to understand, certainly the German appeared to have the right credentials. To his credit, Nick never gave up, constantly giving strong performances in cars that didn't deserve him. At the end of 2004 it looked bleak, and another young hopeful looked destined to move on from F1 having never had the opportunity to show his true potential. However, Frank Williams and Patrick Head had spotted that potential and consequently Nick was offered the opportunity to join one of the most famous teams in F1. Throughout the winter, Nick took part in a series of 'shoot outs' with Antonio Pizzonia, the 'prize' being a race seat alongside Mark Webber in 2005. Although the German was consistently quicker, the Brazilian was well known to the team. On January 31st, just moments before the launch of the FW27, WilliamsF1's 2005 contender, 'Quick Nick' was told by Frank Williams that he had the job, and would partner Mark Webber, at long last, the German, and his many fans, felt that he would have the opportunity to prove himself. Sadly, the FW27 did not live up to expectations, a situation not helped by the fact that BMW was clearly looking to set up its own team, as the 'marriage' with WilliamsF1 fell apart. After the debacle of the 'hammerhead' in 2004, it was thought that things couldn't get any worse aerodynamically, but they did. A 'problem' with the new windtunnel, together with a number of departures meant that the team struggled for much of the season. For the most part, Nick gave a good account of himself, though his pole position at the Nurburgring, had more to do with (light) fuel load than a major leap forward in performance by the driver, chassis or engine. That said, he drove a strong race - at a time when the FW27 appeared to be showing signs of improvement, to take second place. Only two weeks earlier, the German had driven a superb race, as did his teammate, to take second - the best finish of his F1 career - at Monaco. The truth is however, that despite the limitations of the WilliamsF1 BMW package, Heidfeld was rarely able to qualify well, making things all that more difficult for him on Sunday afternoon. Following the double triumph in the Monaco and Europe events it was 'slim pickings' for the German, who picked up a further 3 points in Hungary. Then came a heavy crash during testing at Monza in August, and what at first appeared to be a short-term lay-off, was to keep him out of the second WilliamsF1 car for the remainder of the season. He took part in the free practice sessions for the Italian Grand Prix, but subsequently withdrew from the race, complaining of a "strong headache"
Having missed the Belgian Grand Prix, the hapless German suffered another injury when he fell from his bicycle, cracking his shoulder blade and dislocating several fingers. Thankfully, this didn't prevent him signing for the all-new BMW F1 team just a few days later. BMW suffered two recurrent problems in the early stages of its maiden season as an F1 manufacturer in its own right, engine vibration, which led to failures in Bahrain, Malaysia, Australia and Spain, and tyres, the F1.06 working better with the harder compounds than with the soft. However, the German team kept its head down and by mid-season, following a surprise fourth in Melbourne, Nick was scoring points on a regular basis. Like several others, the German enjoyed a somewhat lucky result in Hungary, but that shouldn't take anything away from a strong performance. In qualifying, in the early stages of the season, he was regularly upstaged by Villeneuve, who was also giving a good account of himself in the races. That said, Nick appeared to have the situation under control. However, the arrival of Polish hot-shot Robert Kubica, following the dumping of Villeneuve, was a serious wake-up call for the German, such was the youngster's pace. His third at Monza, his third outing for the team, matched Nick's best result for the German outfit, helping it to take fifth in the Constructors' Championship. Having been retained by BMW for 2007 it was clear that not only would Nick have to contend with Kubica, who was gaining confidence with every outing, but also face the prospect of another exciting German prospect being groomed by the Bavarian manufacturer, Sebastian Vettel. Nick rose to the occasion, and it is no fluke that he made it into the Top 5 in Alan Henry's selection of the best drivers of 2007 for Autocourse. It was soon clear that after McLaren and Ferrari, BMW was the best of the rest, and likewise, behind Alonso, Hamilton, Raikkonen and Massa, Heidfeld was the best of the rest. We knew the speed was there, but in 2007 it was Heidfeld's consistency that really came into play, scoring points in all but three races. While his teammate Robert Kubica also had pace, and similar consistency, it was Nick's qualifying performances that really set him apart. The German, unlike the Ferrari and McLaren drivers, never qualified lower than ninth, and consequently by season end he had accumulated 61 points, finishing fifth in the Drivers' Championship, his best season since 2001. The highlight of a fine season had to be Hungary, where Nick kept Alonso well and truly in check. The Spaniard had been penalized following the qualifying debacle, however, come the race he made quick work of some of the drivers ahead of him, but not 'Quick Nick' who held his ground. Try as he might, the Spaniard was unable to best the German who played hard but fair throughout. At long last we were seeing the very best of Nick and going in to 2008 expectations were high. However, it was soon clear that whereas the F1.07 suited his style, the F1.08 didn't. Basically, the F1.08 suited teammate Robert Kubica's aggressive style, and nowhere was this more noticeable than in qualifying when Nick often struggled to get enough heat into his tyres for his hot lap. Consequently, having lost out in qualifying he was left with a mountain to climb on Sunday afternoon. The German's season got off to a perfect start with second in Melbourne, having qualified fifth. He qualified fifth in Malaysia but lost several positions in the first corner after being forced wide by Trulli. Nonetheless, he fought his back to sixth, and a further 5 points in Bahrain put him second in the championship. However, it was from Spain onwards when Nick clearly struggled in qualifying, in Monaco he even failed to make it into the final top ten shoot-out. However, two weeks later he played his part in BMW F1 history, following teammate Kubica home for a dramatic, though fortuitous 1-2. Nick had a terrible time in France, qualifying twelfth and failing to finish in the points, however, he bounced back with second place in Britain. He qualified twelfth in Germany also, however a strong performance, which saw him post fastest race lap, resulted in a further 5 points for fourth. Spa, the drivers' circuit, was also good for Nick, qualifying fifth and coming home third behind Massa, though both were to subsequently benefit from the penalty handed to Lewis Hamilton. In the latter stages of the season, Nick and Kubica both struggled as BMW switched attention to its 2009 car, consequently, the German was unable to hold off the ever improving Renault of Fernando Alonso eventually losing fifth place in the championship to the Spaniard, albeit by 1 point. On the other hand, Nick went in to the F1 record books in 2008, being the only driver to finish in every race, the first driver to do so since fellow-German Michael Schumacher in 2002, indeed, he completed all but 5 of the 1,117 racing laps. Much like his teammate, there were times when Nick's frustration with his team clearly got the better of him, however, in his defence, at 31 the German knew he had limited time in which to realise his dream of winning a GP far less the title. Retained for 2009, was clearly hoping that BMW's masterplan would remain on target and that this would be the season in which he would finally step into the spotlight. Little did he know. Behind the scenes, as preparations for 2009 got underway there were problems at BMW with the team's Munich HQ and its Hinwil factory involved in what can only be described as a political battle. As if this wasn't bad enough, the F1.09 was not the winner everyone had been expecting, far from it. The German team had focussed almost entirely on its KERS system, certainly to the detriment of its aero programme, and by the time the team discovered that its version of the controversial device wasn't any good it was already too late. A fortuitous second in Malaysia - where Nick equalled Stefan Johansson's long-standing record of most podium finishes without a win - was followed by a long, lean spell for the German other than for seventh in Spain where the team introduced a much needed aero upgrade. At Valencia the team, having finally given up on KERS despite having developed a modified version, introduced a new slimmer version of its car and from the outset the improvement was obvious. However, by this time BMW had dropped its bombshell, announcing on July 29, three days after the Hungarian GP, that it was to exit the sport at season end. Fifth in Belgium was followed by further points finishes in Italy, Japan and Abu Dhabi however, an accident in Singapore brought to an end a run of 41 classified finishes. In addition to out-scoring his teammate by two points, Nick also kept Kubica honest in terms of qualifying indeed, it was the German who achieved BMW's best qualifying result of the season (3rd in Belgium). Although linked with a number of team over the course of the off-season, including his old team Sauber BMW, Nick watched helplessly as the vacancies were filled one after another. Finally, on January 4, Nick was confirmed as Mercedes GP's official test and reserve driver. Though the new rules meant he would see little action, if there were any problems with Michael Schumacher's neck - or indeed Nico Rosberg's performance - 'Quick Nick' would be waiting eagerly in the shadows. In August, Nick was released from his Mercedes contract - having never driven the car - in order to take up testing duties with Pirelli which was due to return to F1 as the sport's sole tyre supplier in 2011. While some queried his decision to quit Mercedes, especially at a time when some were claiming Michael Schumacher was on the verge of being dropped or quitting, others could see the logic in getting inside, first-hand knowledge of the new rubber. Less than a month later however, after completing tests at Mugello, Paul Ricard and Jerez, Nick was back in F1, replacing Pedro de la Rosa at Sauber. The C29, which had started the season 2s off the pace, was now much better and as a result Nick was able to score points in three of the five races he contested. Just days after the end of the season, having helped Sauber to eighth place in the Constructors' Championship, Nick's hopes of a drive with the Swiss outfit for 2011 were dashed when it was revealed that Mexican hot-shot Sergio Perez would partner Kamui Kobayashi. However, in early February, When Robert Kubica was injured in a horrific accident whilst taking part in a rally in Italy, the Lotus Renault GP team asked Nick to take part in the second pre-season test at Jerez. 'Quick Nick' immediately made a good impression topping the timesheets from the outset. Days later he was officially confirmed as Kubica's stand-in. In Melbourne, Nick qualified eighteenth and finished twelfth, albeit with a damaged car, while in Malaysia he finished a superb third after starting sixth, thereby breaking Stefan Johansson's record of twelve podiums without a win. He took seventh in Turkey after a close battle with team-mate Petrov. while eighth place finishes in Spain and Monaco were followed by retirement in Canada after running into the back of Kamui Kobayashi and causing damage to his front wing which subsequently broke under acceleration. New restrictions over the use of off-throttle blown diffusers were introduced for the British Grand Prix, and, as was expected, Renault was badly affected having designed its car around the system. Nonetheless, Nick managed eighth place, taking what were to be his last points of the season. In Hungary, the German retired after his car caught fire as it exited the pits, the team's season going from bad to worse as it paid the price for what Technical Director James Allison was to subsequently describe as an "experiment that failed". Ahead of the next race, Belgium, Nick was dropped and replaced by Bruno Senna. Whatever the politics of the German's dumping, and some say it had more to do with money Senna could bring to the team, the German didn't miss much for the R31's best days were behind it. When it came to drives for 2012, Nick wasn't mentioned, and though Renault - to be known as Lotus F1 Team in 2012 - raised eyebrows when it brought Kimi Raikkonen back to F1, Senna got the second seat at Williams by the skin of his teeth... and a large dollop of Brazilian cash. Sadly, for 'Quick Nick' F1 no longer appears to be an option.